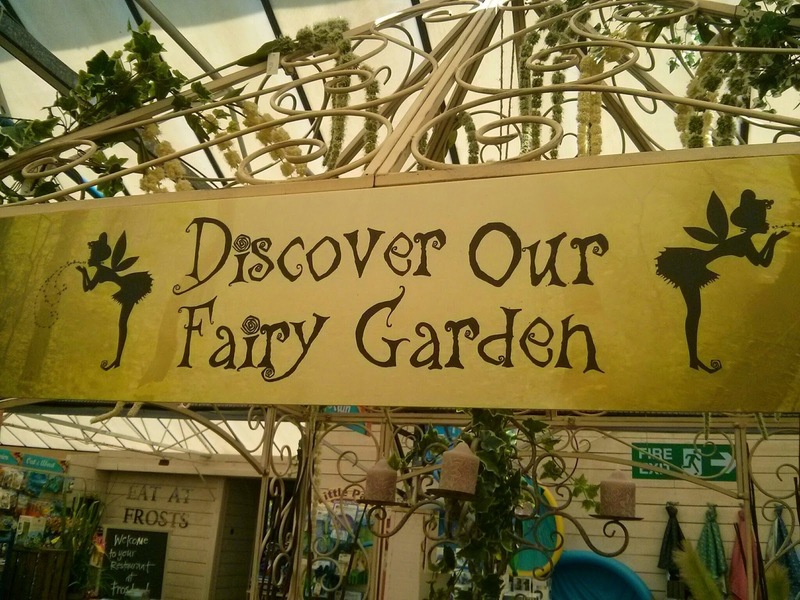 At our local Frosts Garden Centre in Woburn Sands, they have a brilliant little display near the tills. 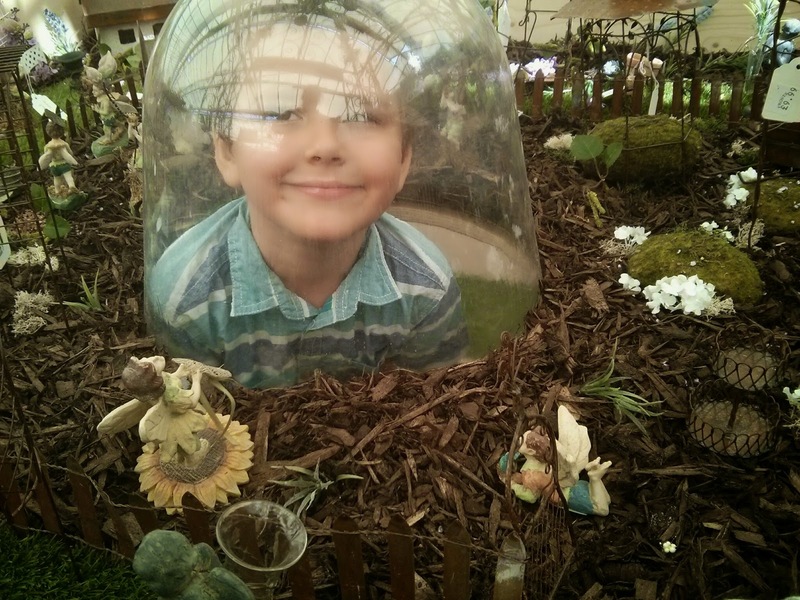 It's a Fairy Garden, with a cloche type viewing area in the middle for the children (or brave adults) to view the fairy garden from. 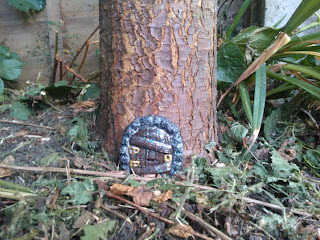 Now, you might remember from previous blog posts that we have a fairy door in our garden, or we did until it went missing! Luckily the children know that the new Fairy/Elf door in the gap between their bedroom doors is where the magic comes from these days and aren't worried about the missing door in the garden. 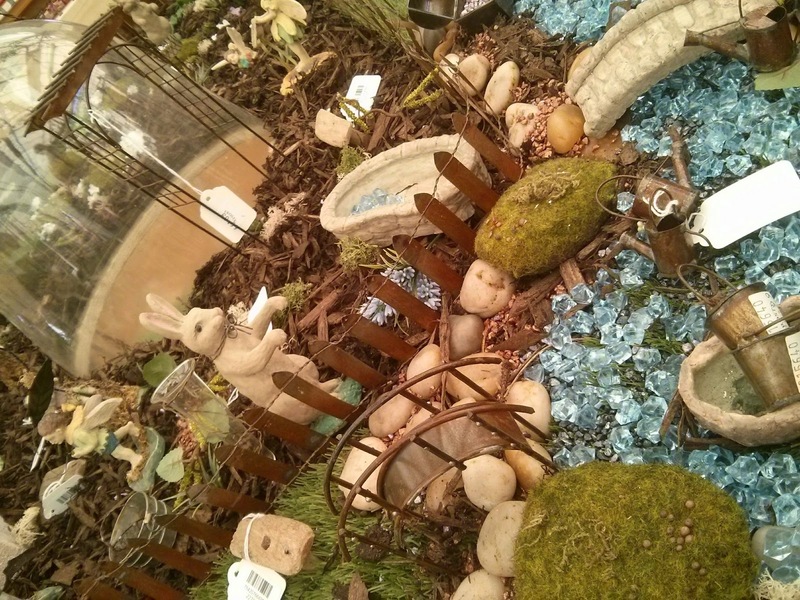 The fairy garden at Frosts is so cute. The team who has put it together obviously had a lot of fun working out where to put different items and how to show them off. In fact they have done it so well that they've made me want to have a little fairy garden in my garden. 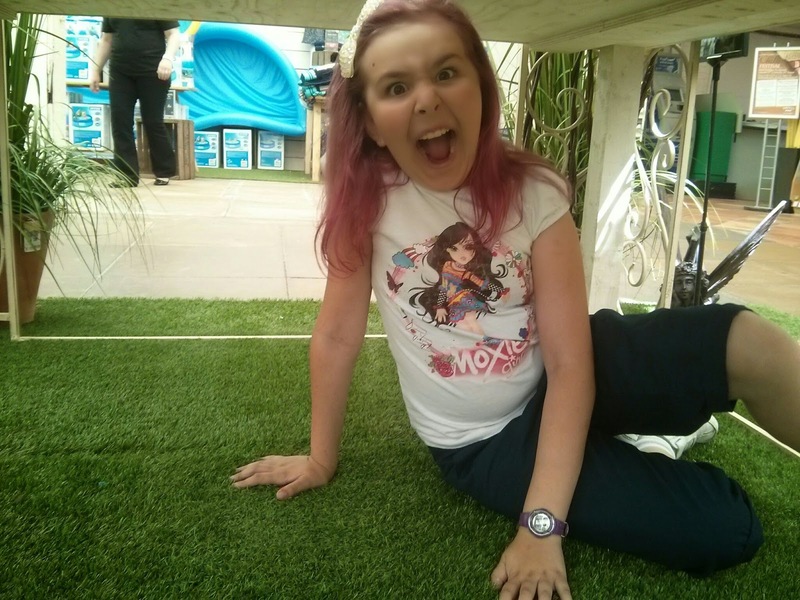 The children however, were quite happy to play in and around the Fairy Garden at the Garden Centre. As the gap under the table is just tall enough for Top Ender to sit down, I've not braved the cloche to view the garden. Big Boy however said that it was magical. And I think that Top Ender is planning on moving in. 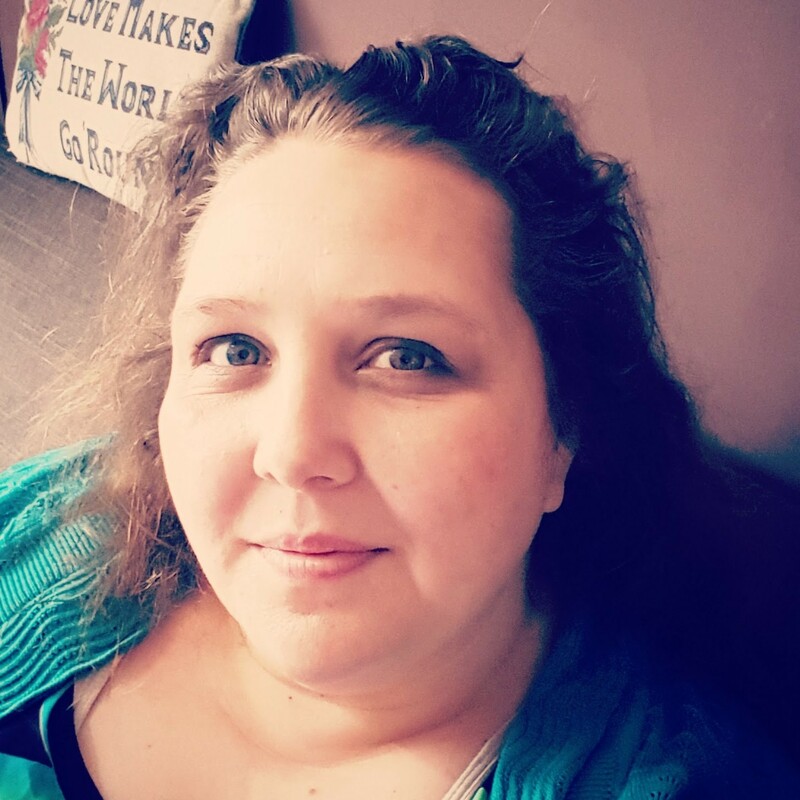 This week my challenge is going to be to work out an area of the garden where we can create a little Fairy Garden and to start creating some little features for it. I think I might start with some pebble painting! 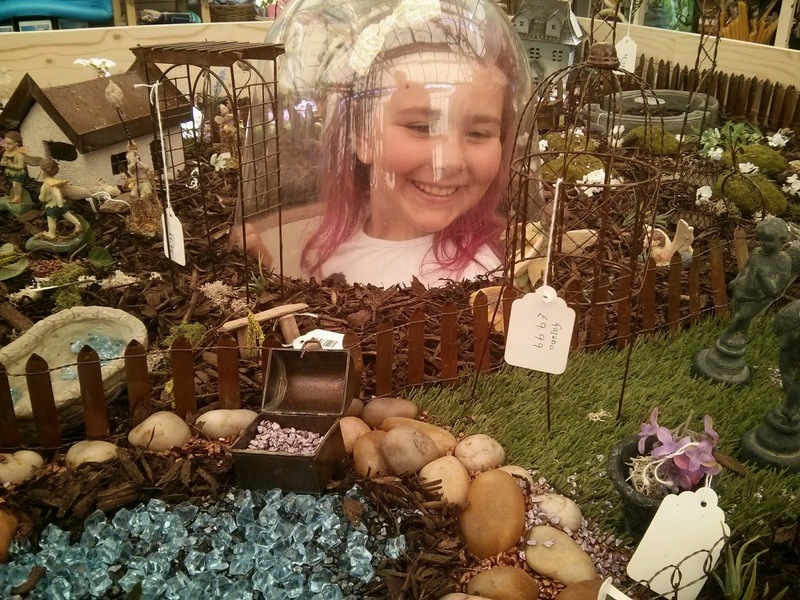 Do you have a fairy garden or any ideas that you can share?